‘2017 Hubble Space Telescope Advent Calendar’ Shares New NASA Photo Each Day Until Christmas – Sig Nordal, Jr.
December 15, 2017 December 16, 2017 Sig Nordal, Jr.
Alan Young of The Atlantic is keeping up his annual tradition of curating one of the most unique advent calendars of the season. For the past 10 years, Young has put together the Hubble Space Telescope Advent Calendar, publishing one photograph from NASA’s space telescope every day until December 25. 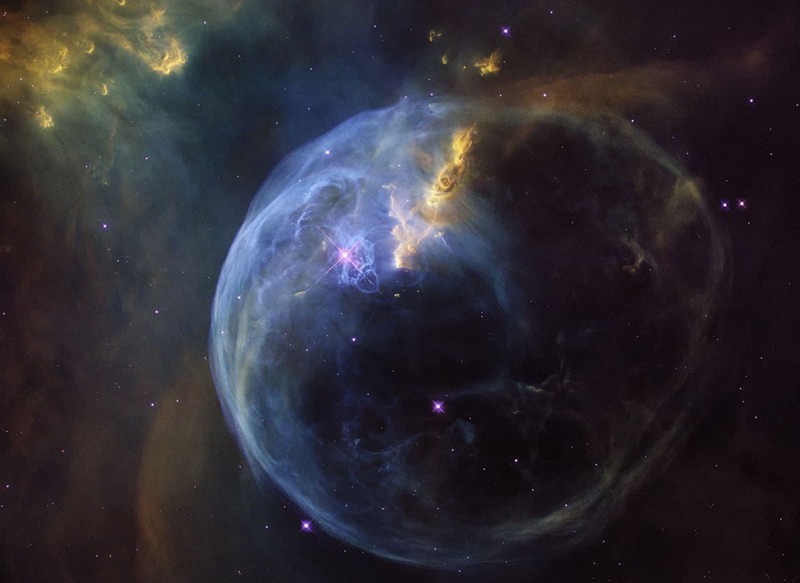 The Hubble Space Telescope, which was launched into low Earth orbit in 1990, has taken some of the most detailed visible-light images in the world, giving an unparalleled look at the depths of space. Through NASA’s dedicated page about the Hubble mission, you can even see what the telescope is currently looking at and browse galleries of still images captured in high resolution. From festive skies dotted with brilliant stars to a surreal nebulous bubble formed from stellar wind, a scroll through the images reminds us of how wondrous the galaxy really is. Let’s look at some of our favorite images from the first half of Young’s advent calendar and keep watch of The Atlantic page and Facebook to see new images as they appear daily until Christmas. Every year, The Atlantic publishes a Hubble Space Telescope Advent Calendar, check out some of the images from the 2017 edition. The post ‘2017 Hubble Space Telescope Advent Calendar’ Shares New NASA Photo Each Day Until Christmas appeared first on My Modern Met.